The Leica Shop Flohmarkt is an annual flea market for used analogue cameras and photographic equipment in Vienna. What I love about this event is the amount of joy and excitement people get out of seemingly obsolete cameras. I decided to bring my camera to this year's Flohmarkt and capture the atmosphere. 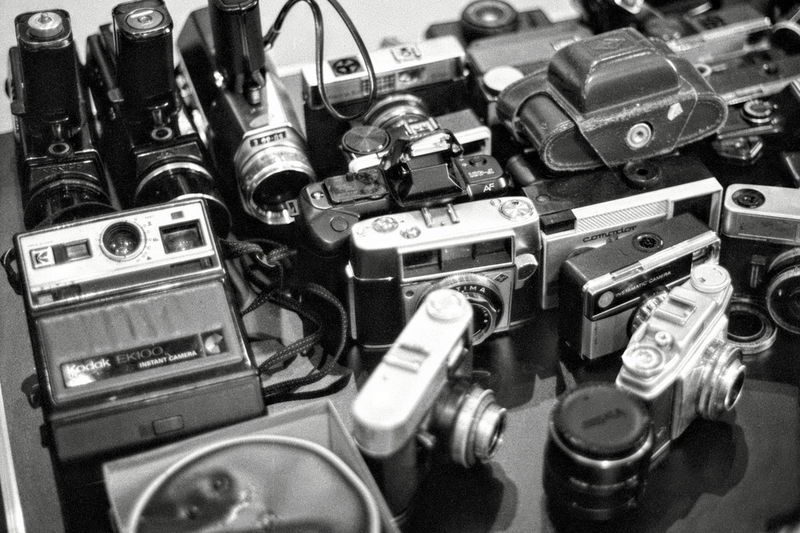 The pictures were shot with an Olympus OM-4 and a F.Zuiko 50mm f/1.8 lens on ILFORD Delta 400 B&W film pushed to 1.600 ASA. Scans were made in the "digital darkroom".